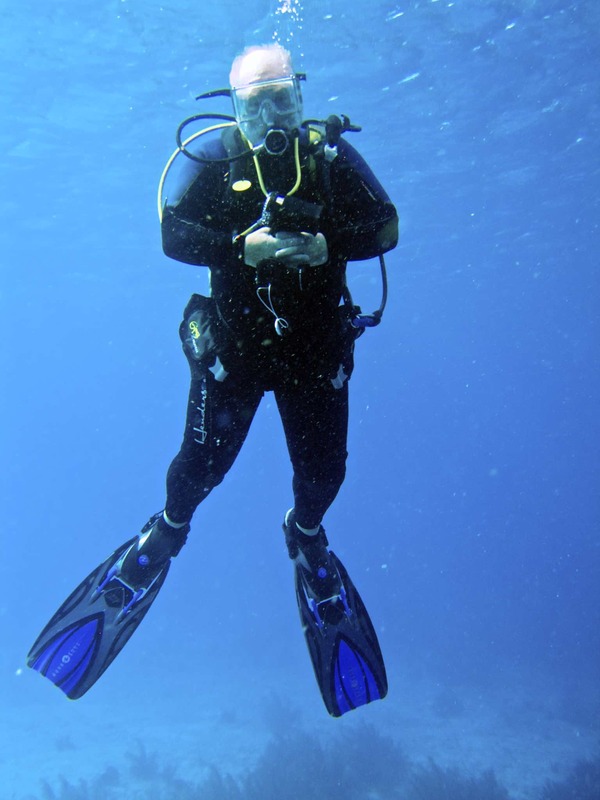 Paul Adler founded East Coast Divers back in the mid-seventies. This month marks the end of his tenure as owner; after over three decades in business, he is selling the store to his employees, Nick Fazah and Alex Dulavitz as of the end of the month. Paul was the person who first enabled me to scuba dive, in a quickie “Discover Scuba” program over at Dedham Racquettime. A year or so earlier, I’d followed Route 128 on the motorcycle to the end in Gloucester, and then followed Route 127 around Cape Ann. In every little inlet and cove, it seemed like there were a group of divers. “God, I’d like to try that,” I thought. So I’d taken a set of swimming lessons at the Y–I couldn’t swim– and now, here I was, in the pool at Dedham, just paddling around in the shallows, to see if I would really like it. I loved it, and signed up for the certification course. I didn’t deal much with Paul for a while after that. He was stationed in the Framingham store, and I dealt mainly with the Brookline staff–Alex and Sandra Lehmann, Steve Brown and Paul Stewart. I got an impression of him as a grouchy owner type, possibly reinforced by the staff there. Once the Brookline staff I was familiar with left, however, I started using the Framingham store more, and started dealing with him more directly, my opinion started to change. The biggest factor, for me, was during my 2004 trip to Bonaire. Because of the composition of the group, it made most sense to room me with three other guys who were already a tight group of their own, and were, frankly, kind of jerks. I never said anything to him, but Paul picked up on the situation after a couple of days, and went out of his way to make sure I was having a good time, that I wasn’t stuck or stranded with them, and that I was incorporated into the group as a whole. It was also on that trip that I first met his daughter, Marcy. Paul had recently gotten the bends, and his wife, Debie, sent Marcy along to keep tabs on Paul, which she did, very effectively. It was a fun watching the very obvious affection between them. Paul is very very good about correcting issues. (he is also somewhat absent-minded, so one may have led to the other). I always know that things will come out right at the end. For example, when I got my nephew certified, there was a problem with the available hours at the pool– they’d switched to their summer hours. We ended up with a special session with an instructor, just for my nephew, at no extra cost. Paul’s spent a lot of time on Bonaire, and he’s very familiar with the island. 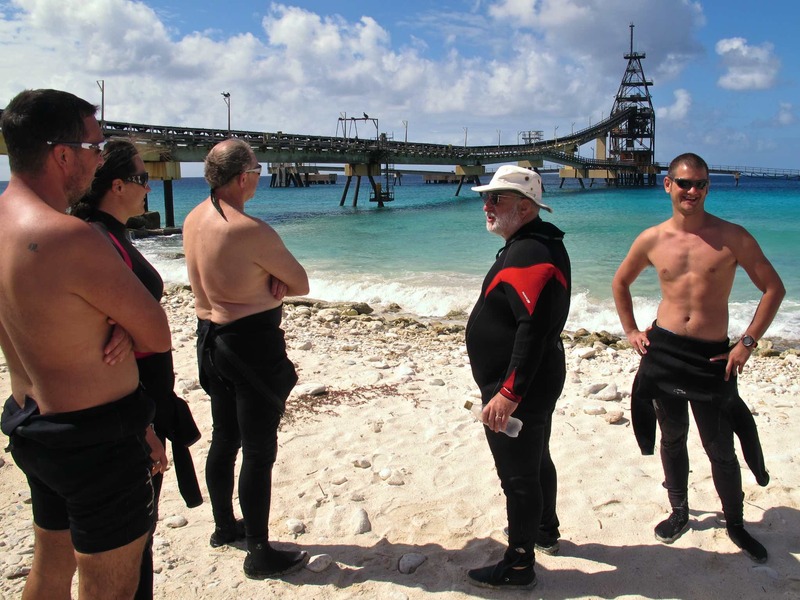 On my first trip, he paid a visit to Captain Don Stewart, the man responsible for the dive tourism industry on Bonaire. Being Paul, he made sure he was “properly dressed” for the occasion. He’s also a good friend of Dee Scarr, a naturalist who runs “Touch The Sea”, a program to help divers interact with sea life. He knows all the good dive sites, and often, the stories behind them. Paul describes himself as “an equal opportunity harasser”, which is pretty apt. On a trip, he is always teasing everyone, but he also knows how far he can go; I’ve never seen him take it too far. (His timing does leave a little bit to be desired, though. On the 2010 trip, I’d just signed up to rent a DSLR, when he walked up to the camera guy, and started telling him about my long list of photographic casualties). I’m not sure what Paul’s doing next. He’s said something about starting a consulting business; but I’m not sure how firm that is. It will be strange for him, I’m sure, not to be in the store. He and Nick bicker like an old married couple, but during some down time on the last trip, he told me how well Nick and Alex were doing, and how well they work together. (Whether he’s told them that, I don’t know). Whatever he ends up doing next, I wish him all the luck in the world.